Thierry Chevalier is leading Airbus CTO strategy on Digital Design Manufacturing & Services. He was previously in charge of Airbus Commercial Aircrafts research portfolio on processes, methods & tools as well as ground & flight test means. He joined Airbus in 2001 and successively led Aerodynamics methods & tools, then from 2007 to 2009 supported the creation of the Airbus Engineering Center India in Bangalore, then took charge of the overall architecture of engineering methods & tools before moving to research in 2014. 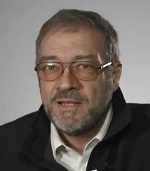 Before joining Airbus, Thierry spent 15 years at Dassault Aviation, largely focused on industrial multi-disciplinary simulation integration, addressing scientific, computational, security & methodological aspects of it.